On of the fallacies behind many diet and exercise programs promising quick weight loss and stomach trimming fat burning is the balance between sweating and your metabolism. When reading about different diet and exercise programs, you've probably come across the expression, "speeding up your metabolism makes you sweat more." Depending on how you read it, it can be misinterpreted as "sweating more boosts your metabolism. " However, before you put on your sweat suit, continue reading because it may not be true. Are you aware of how sweating works for you body? On a hot summer day you might like to get out and go walking. As light of an exercise as walking may sound, you can't help but sweat. Given you have air conditioning in your home; you can avoid this by staying inside. For those of use that don't sweating when you are hot is unavoidable. By does this happen? The reason why you sweat is to regulate your body's temperature. Sweating (perspiration) allows you to drop your body temperature when overly hot. Sweating is not something you can control voluntarily, like spitting. 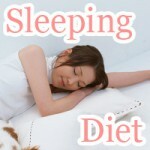 Neither is it efficient way to burn off energy and dietary measure alone. Don't get carried away, yet. You can sweat all your want, because it won't leave a dent in the amount of fat you burn off. Against what you may have been led to believe, reading around, sweating doesn't have a direct impact on your fat metabolism. Although you may be able to see a difference stepping on the scale after a drenching workout, the effects are only temporary. Yes, the statement, "I've run for an hour and gained a pound," is also plausible. Try not to confuse fluid displacement through perspiration with "real" weight loss. That doesn't mean sweating is not good for you. Sweating is known as the "natural detox." When you sweat toxins and other waste products are expelled from your body through your pours. Depending on how toxic your body is at the time, the make up of your sweat may differ, silky versus sticky. You probably wondered why at times your sweat leaves you feeling a bit sticky. The reason is that sodium in sweat and oil from sebaceous glands (sebum) combine to protect you body from nasty bacteria. Over time this sweat begins to mix with broken down bacteria, turning into a smelly-sticky substance covering your skin. At this point it is recommended that you take a shower before things worsen. The next type is the kind that you have when you are sitting in a sauna. With lower prevalence of bacteria and the immense heat causing sweat to involuntarily pour out of your skin, the result leaves your skin silky smooth, showing no difference from water. Saunas cause you to sweat buckets. So, which of the two types of sweat has a produces more of a slimming effect? For the same reason why people often hit the sauna while working out at the gym, silky (water-like) is better for you diet. One way to improve the way your body sweats is to become more acclimated to heat. As you body learns to handle more and more heat, the amount you sweat and blood flow to your skin increases. In addition, the concentration of sodium in your sweat decreases, making your sweat less likely to become sticky. You will notice a big difference in how you sweat after acclimating to heat. Before, sweating less caused you sweat to contain high sodium concentrations, resulting in "sticky" sweat. However after, the sodium concentration in your sweat decreased, making your sweat silkier than ever. This sort of treatment, improving the quality of your sweat, could be of some use to your diet after all. This can be done by doing activist such as taking a sauna bath or exercising outside in the sun. It's easy to associate your metabolism with "dispelling waist outside of your body." One job your metabolism has is taking material from old to new, biological recycling. For material that is not needed (waste products) there is only one thing to do, that is throw it away, sweat if off. Your metabolism opens up pathways to burning off energy in your daily live. Pathways such as diet-induced thermogenesis make the food you eat raise your body temperature potentially causing you to sweat and burn of more calories. No matter which pathway you choose there are benefits such as increase energy consumption and better blood circulation that are much to look forward for and can give you the advantage you need in your diet. What makes a "good" metabolism? In simple English, a good metabolism means that your body is able to take care itself. People with good metabolism are often envied because they perceived as being able to "eat a lot and still not get fat." Blood and lymph circulates within your body. The process forming fluid circulation in your body is what is known as your metabolism. Your body's vital functions (breathing, heartbeat, temperature regulation) taking energy from blood circulation are also thought to be part of what is known as the "metabolism." The is why when there is something disturbing the way you body should operate normally, the most probably cause is probably a "bad" metabolism. When you think of someone who is overweight, what you usually picture is someone sweats a lot, excessively. This goes to attest that just because you sweat a lot doesn't mean you have a good metabolism. People suffering from obesity absorb heat in fat tissues (under the skin, inside organs) resulting in heat energy to be stored in these areas. This is why a person suffering from weight problems is seen as sweating more than a perfectly healthy person. Seeing how sweating and losing weight are two different things, one need confuse them to avoid fad diet results. For people overweight, sweating beyond what in needed by your body should be avoided. Doing so is said to potentially damage your sweat glands, preventing normal perspiration making overheating a life threatening problem. Paying tons of money to keep your pours clean. Going in the sauna can give you’re the natural detox treatment you need. Stop paying a fortune for skin treatment, when you can get the same effect by going to the sauna. Just because you started wearing a short skirt doesn’t mean it’s going to stay that way. After all there is still summer weight gain to worry about on top of scorching heat. Have you thought about hanshinyoku lower body bathing yet? If you need to fix sensitivity to the cold then now is your chance. How to bathe your lower body. The benefits of doing hot yoga may be just what you need when trying to lose weight right. Detox while you exercise getting the most out of your routine. 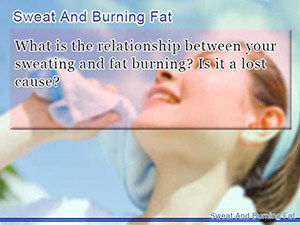 What is the relationship between your sweating and fat burning? Is it a lost cause? 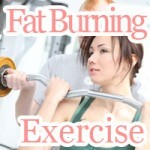 Don't think just by sweating more that you are burning off more fat than before. 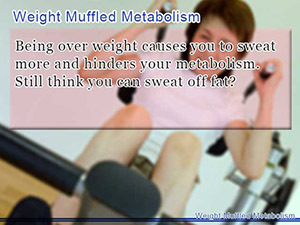 Being over weight causes you to sweat more and hinders your metabolism. Still think you can sweat off fat? 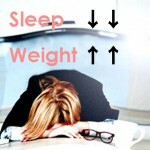 Sleep and Weight Loss: Not Sleeping Enough Makes You Gain Weight?